Ingleby Mill Primary School is situated in Stockton-on-Tees and has a student count of over 600. The school uniform at Ingleby Mill Primary School is based on contrasting colours of smart navy blue and white, which are the colours that were chosen to represent the school in its leavers hoodies. 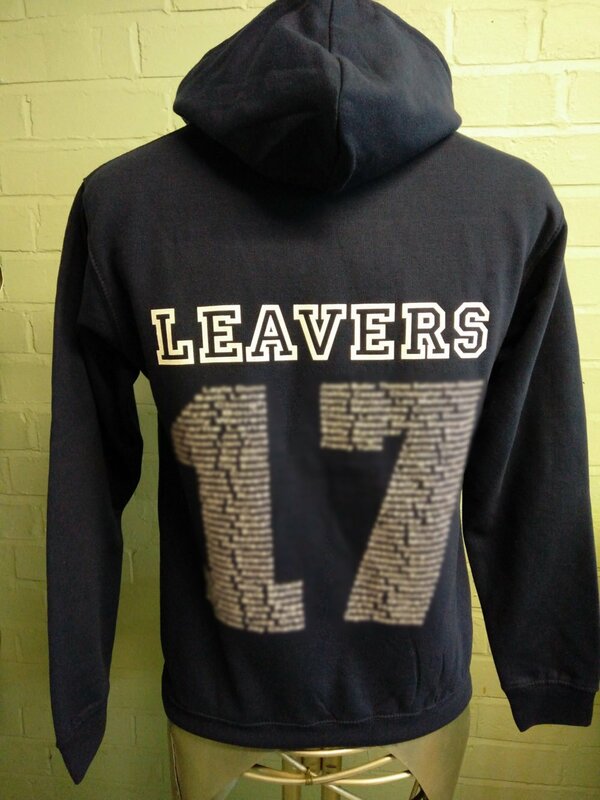 The class of 2017 leavers hoodies are extremely smart and have a classic look and feel. 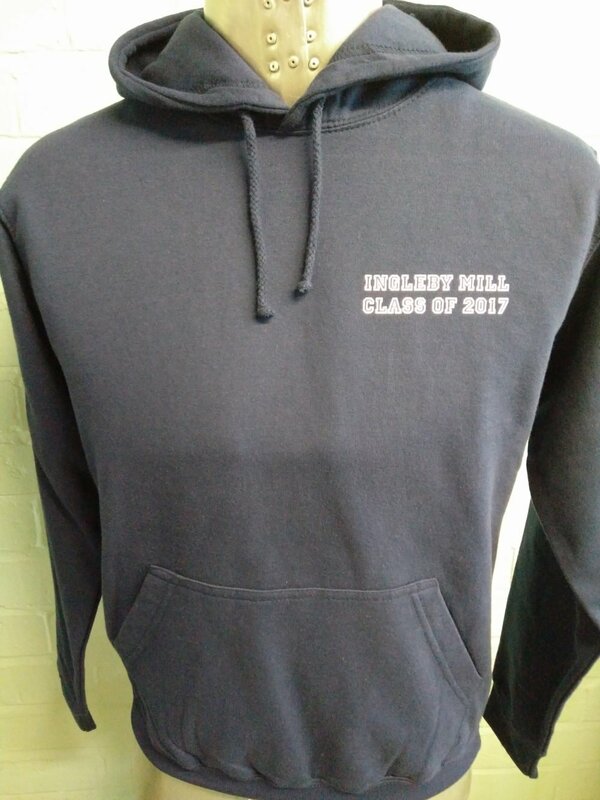 Many schools and colleges choose to have their logo on emblem embroidered or printed onto the front of their leavers hoodies, like their school uniforms. 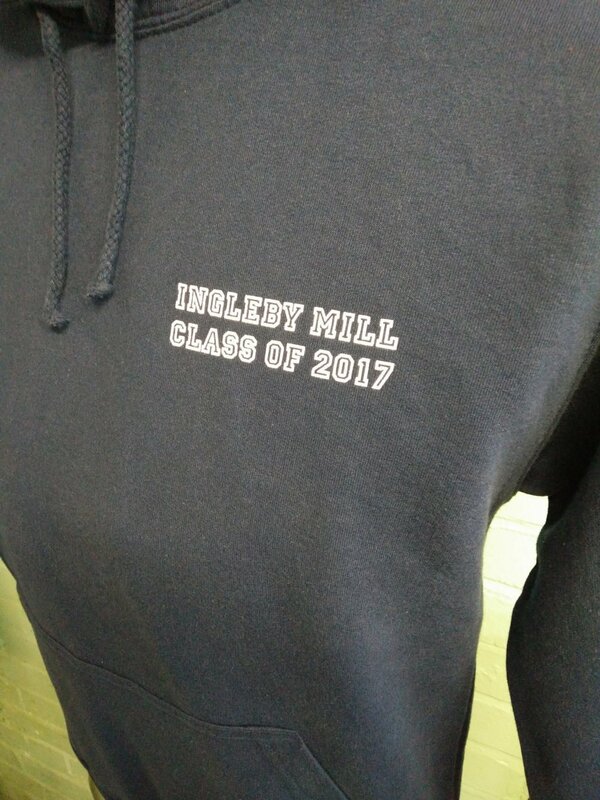 However, Ingleby Mill Primary School chose to have the words ‘Ingleby Mill Class of 2017’ printed in a small area to one side of the front of the hoodie, in a fashionable, simplistic style – which we think looks great! 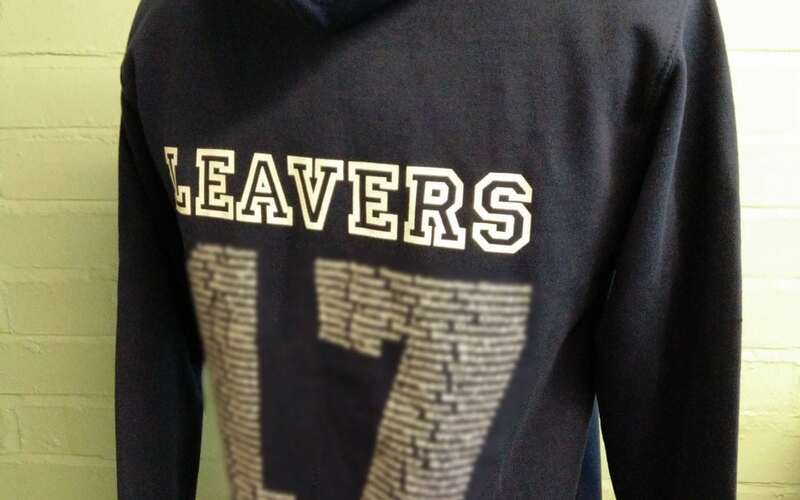 The back of the leavers hoodies feature the word ‘leavers’ and then the names of the students in the relevant year group, printed to make up the number ‘17’.